Are you struggling with the ole’ January blues? Apparently Monday 21st is said to be “Misery Monday”! This phrase, which is created by the media to sell stories, quite frankly, really doesn’t help matters. It then becomes a self fulfilling phropecy i.e. if we decide it is then it will be! So, let’s do the opposite people and not listen to the doom and gloom stories out there – or indeed people with that kind of attitude! Have a quick look here for a few ideas for you to brighten up this time. Understand It’s normal. Biologically, many people feel low / lack energy in the darker months – this is natural. Laugh! Spend time with someone who makes you laugh, watch/read something funny. Laughter is a medicine with tangible, physical effects as well as subtle, therapeutic emotional, mental and spiritual effects. During laughter, the body is stimulated and exercised; after laughter, the body relaxes and calms itself. Beware of “traditional” New Year Resolutions! Resolutions born out of guilt are not long-term motivators. They tend to be hard/vague e.g. “save money”, “lose weight”. Then we fail & feel worse. Choose ONE (not loads) you can achieve and measure, such as “Im going to meditate for 5 mins” each day. find a friend to support you and just focus on that! Exercise – One of the best ways to fight a low mood/ improve wellbeing is to exercise. Even a brisk walk is great (gives you daylight, too.) you’ll feel much better afterwards. Take the first step and book into one of our yoga classes! Turn off the TV for an hour and Read for pleasure – ah, the joy of reading a great book curled up & warm in January! This takes your mind off feeling low. + research shows now it has lots destress health benefits too. Know that “You are not alone” – many of your friends/peers will be going through the same thing. Find someone to talk to. Or team up with a friend to support each other. We’re all in this life together and there are people out there who want to help you – we have a great easygoing, non-judgemental community at Wellbeing Yoga – come & make some new friends! Lastly, remember spring and lighter days are not far off! Theres a shift on the horizon! 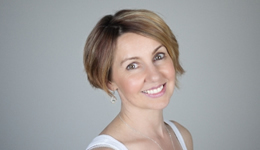 Jessica Livingstone, Founder, Teacher & Director of Wellbeing Yoga. Jan 21 2019. Why do we judge so much? And why do we think that it’s OK?